This listing is for the dog collar bow tie set only. Your pup will dazzle the crowd in this Classic Collar Bow Tie set Black. This collar is perfect for including your pup in your wedding party! 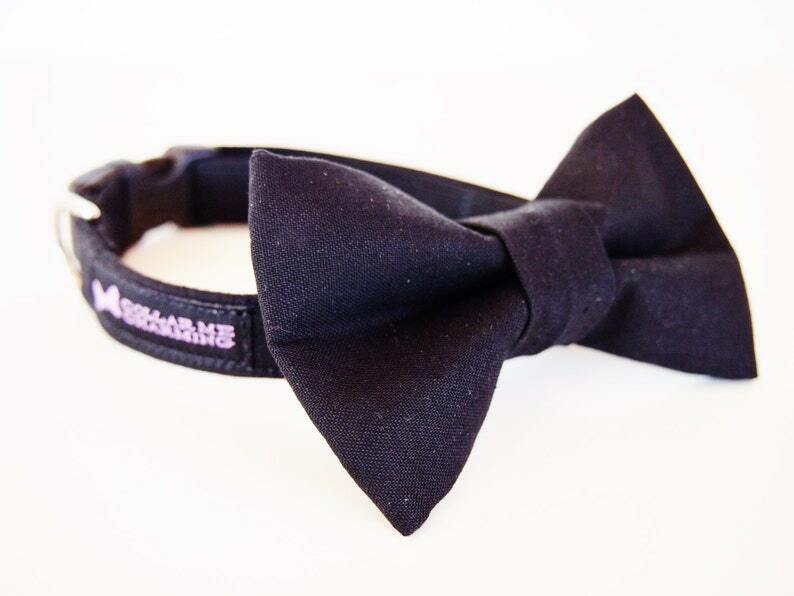 All bow ties are removable and are attached with Velcro and a stretchable strap to keep it in place. Want a specific size made especially for your dog? Is your pooch going to be in a wedding or special event and needs a custom collar to match the rest of the party? Convo me for a custom order and we will be sure to make them the perfect match."